TALLAHASSEE, Fla. (WTXL) — Most people want their neighborhood to be a better, safer place to live. That may include things like decreasing crime and increasing amenities. For Tallahassee's Frenchtown neighbors they just want sidewalks, street lights and surveillance. And they're hoping City and CRA leaders are hearing them out. For Jerry and others who live in Frenchtown they are done talking about change they are ready to see it. Jim Bellamy said "A lot of good stuff, but it's just good stuff on paper. It's not stuff that is actually implemented. And I want my community to be just like the other communities or better." What do they want? To make Frenchtown a better place to live and work that includes safety improvements, affordable housing, and opportunities for small businesses. "That building there for example, you could've put 2 or 300,000 dollars into, and rented it out for $5 a square foot for someone like me or other arts groups in this town that have been priced out of the arts district, and then after 5 or 6 years been making money and putting it back in," said Max Epstein. Monday night, the Community Redevelopment Agency and City of Tallahassee leaders, listened to those concerns and brought forth projects that are underway in Frenchtown like several intersection upgrades, crosswalks, and a facade improvement program that's in the works. But for Commissioner Elaine Bryant she wants to make sure any and all projects will bring economic vitality. "They should be income producing, they should produce jobs, they should, I'm thinking, help in the housing situation. We have to do more than just the small level projects," said Bryant. 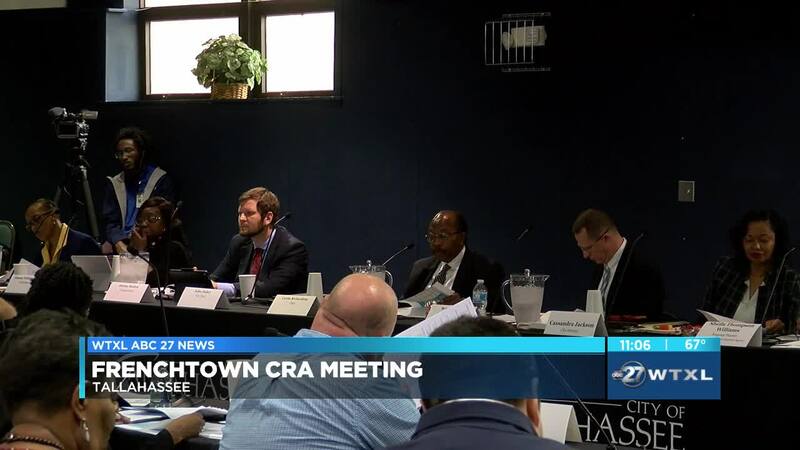 The CRA says they have $56 million dollars that they're devoting to revitalizing and redeveloping traditionally black neighborhoods in Tallahassee like Frenchtown and the Southside.